After days of snow and rain, the sun set golden last night beneath the last of the storm clouds clearing out from the west. Sunrise this morning found our sky deeply blue and nearly clear, frosty morning air crackling with fresh energy and promise. 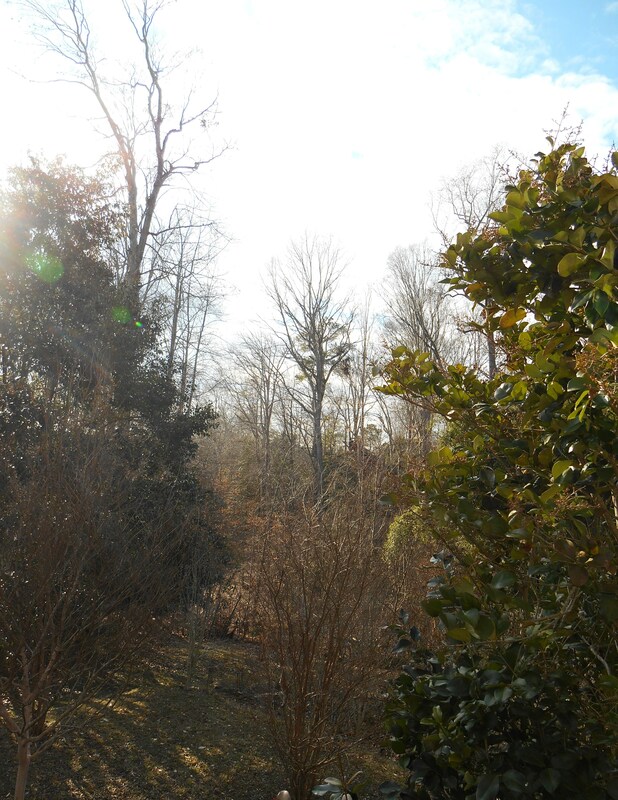 The sun called both of us out of doors to see what changes have come to the garden. 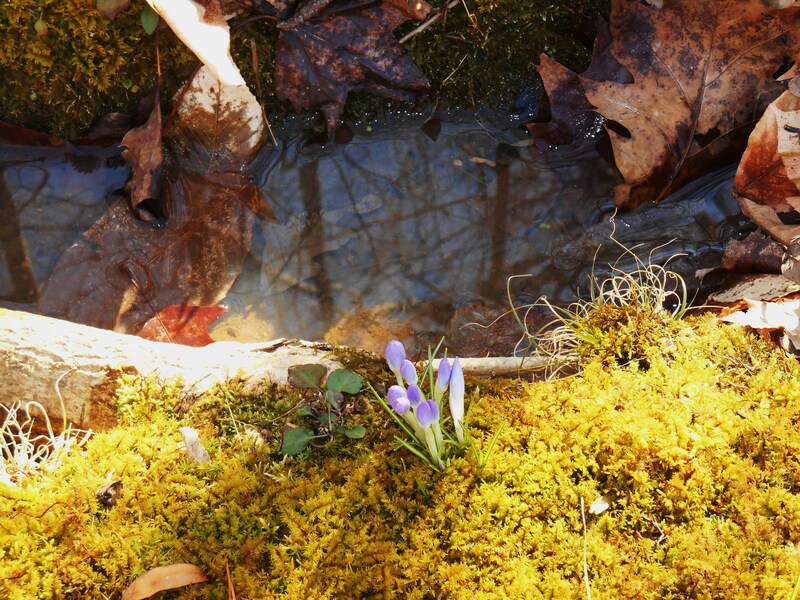 Ground spongy from days of rain, with water still puddling in low spots; the Earth shifts and oozes with every step. Each step must be carefully placed to avoid slipping on the uneven ground. 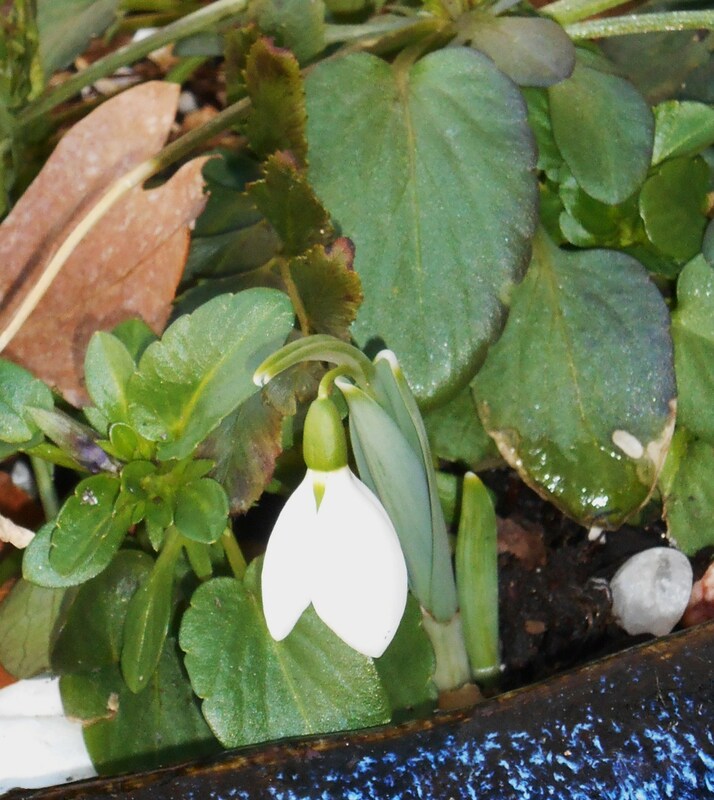 Today brings that magical moment when we first begin to feel winter slipping away into earliest spring. The sun is brighter than when we saw it last, and is lingering later into the evening. We have turned the corner at last. 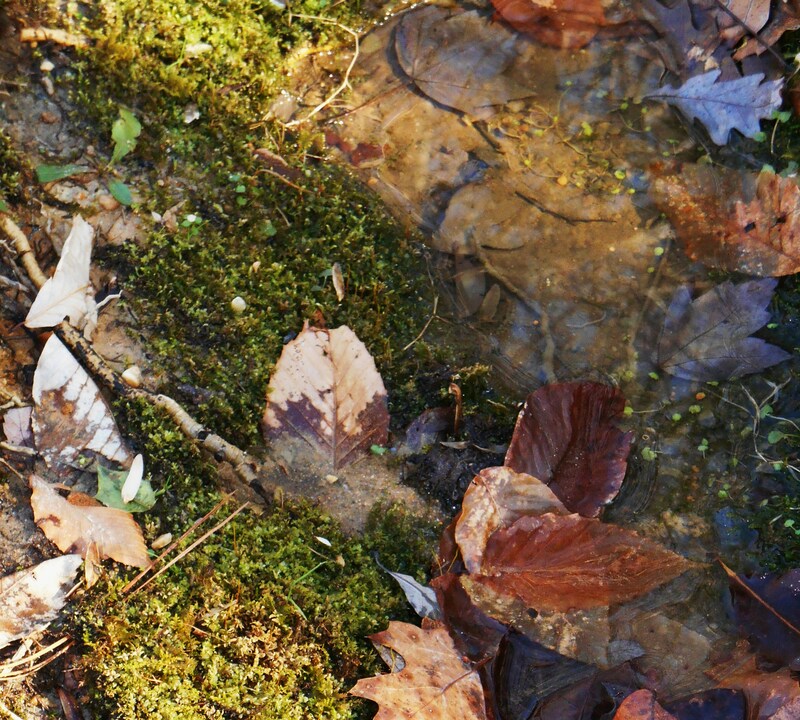 In the afternoon I gathered hat and coat, scarf and camera to make the walk down to the Creek, in search of evidence. 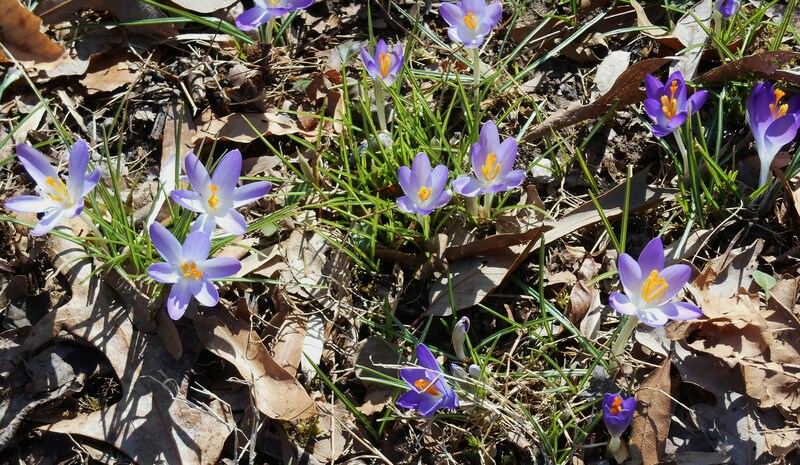 I went looking for any sign that we have, in fact, begun the unfolding of spring, here in Williamsburg. 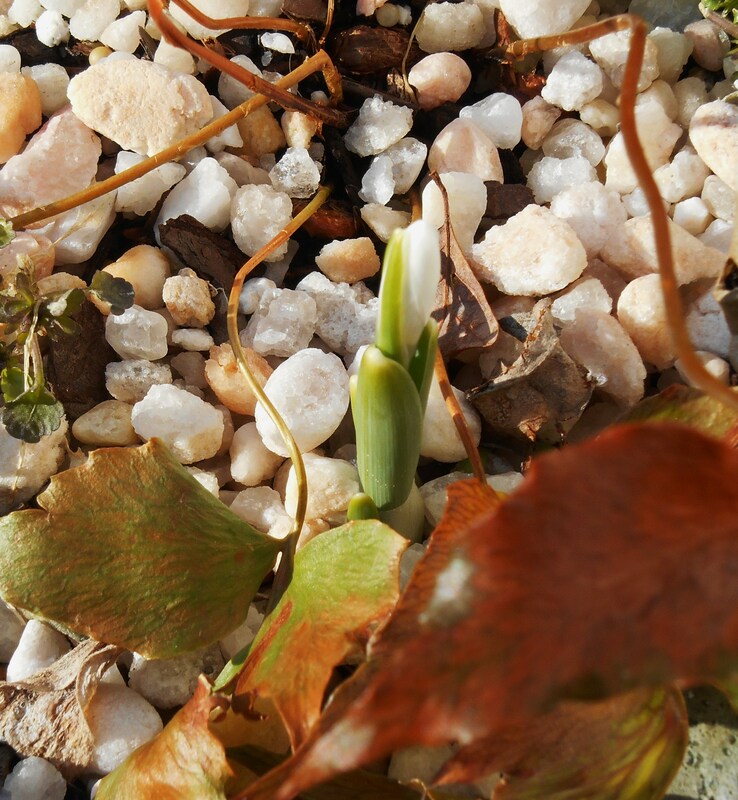 I wanted proof that winter’s hard shell has begun to crack, allowing new bits of living green to unfold. 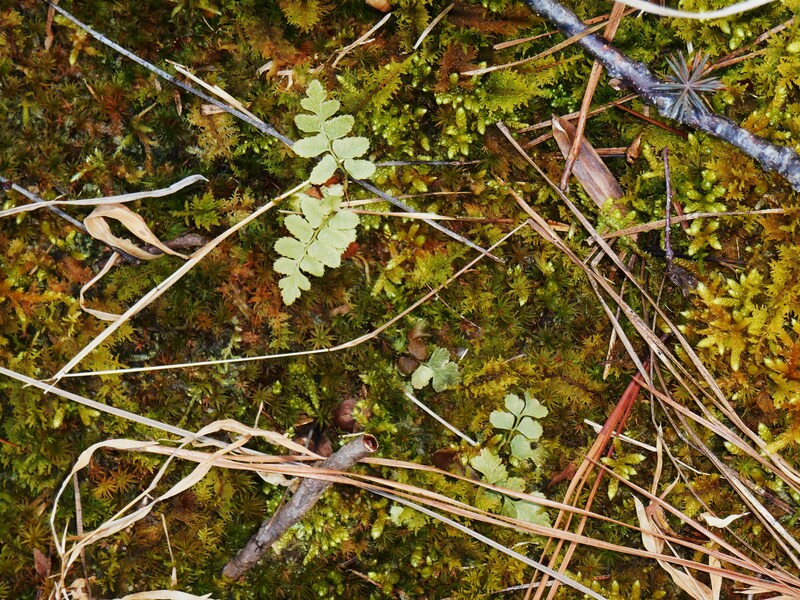 The first new green always comes to the mosses, plump now with moisture and responding to the sun. 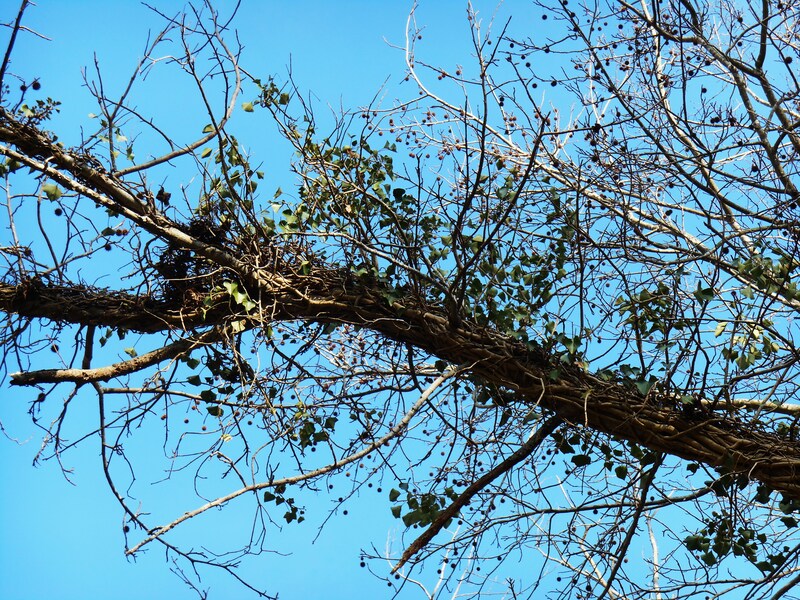 They green as they thaw, and stretch out luxuriantly. 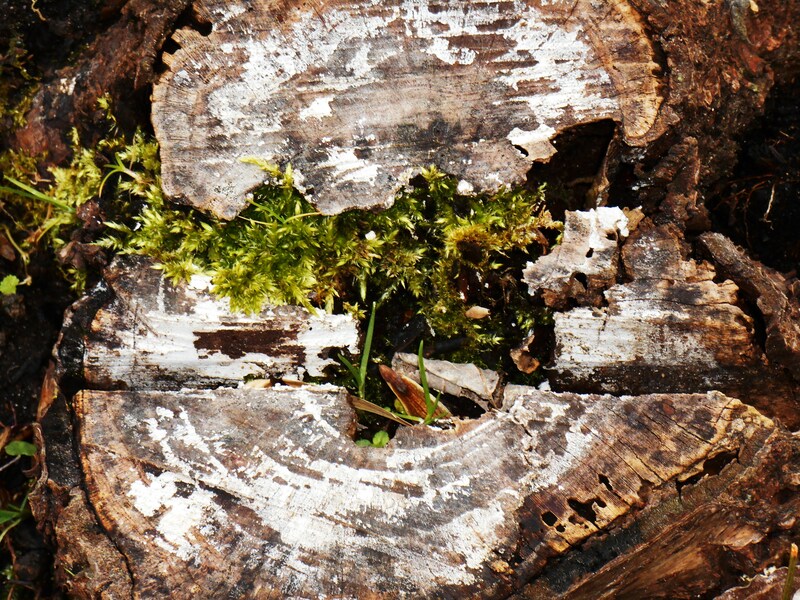 The moss, and brave blades of green bulb foliage determinedly poking out of the frozen mud animate winter’s muddy ground. 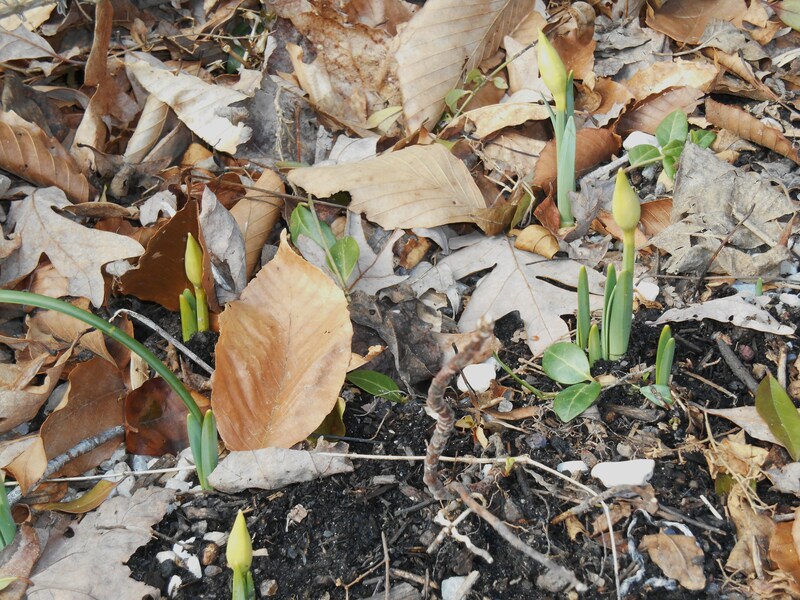 Even bits of fern, and the first bits of weed populating the mulched beds of daffodils, gave ample proof of winter melting away for another year. 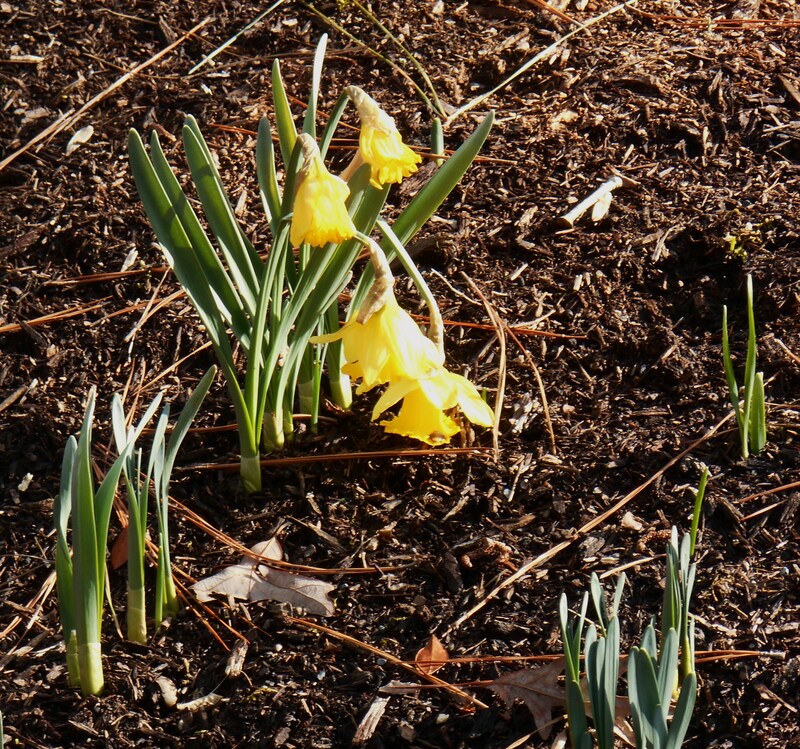 Snowdrops, early Crocus, and one radiant patch of blooming Daffodils in a neighbor’s yard cheered me on my way. 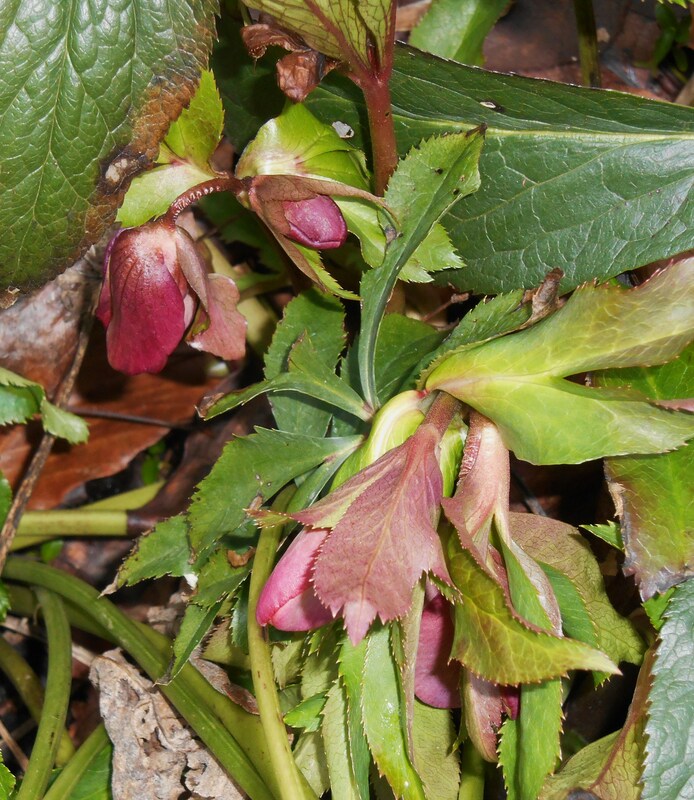 The Hellebores are thickening in their beds with new growth, buds nearly ready to open their petals to early bees who might wander by. 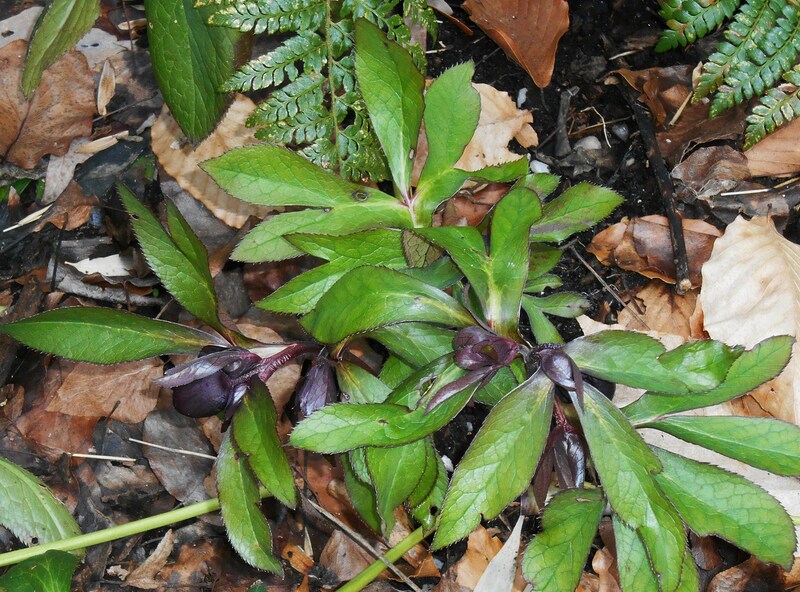 Spring is returning to the garden; slowly, now at the beginning, but still an irresistible force of new unfoldings and fresh starts. 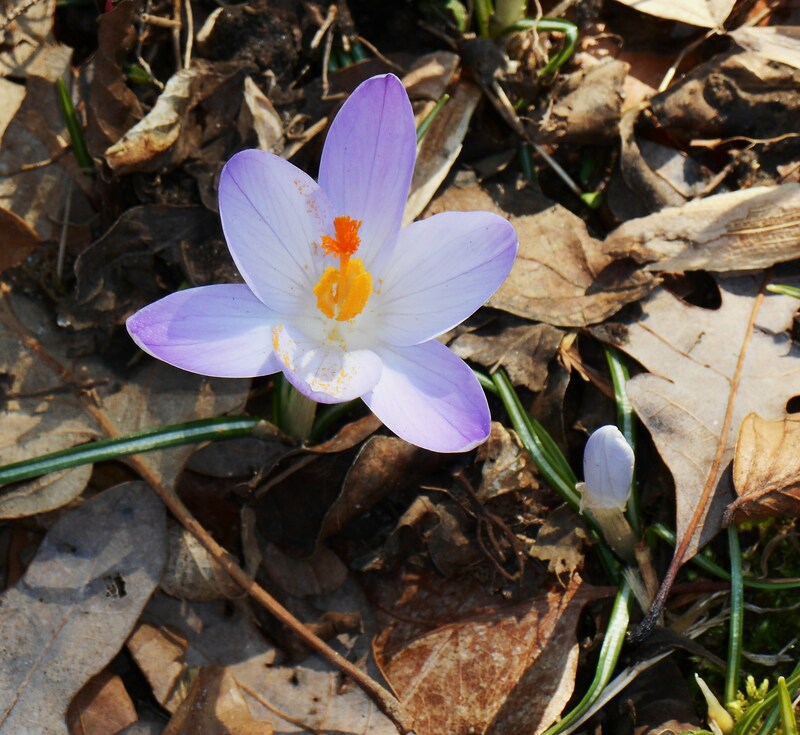 It was the perfect day to get out into the sunshine and fill our lungs with the first breath of spring. A perfect day for our friend to celebrate her birthday, and a perfect day for winter’s cloak to pull away, even for a moment, as sun and warmth called us back out into the garden. 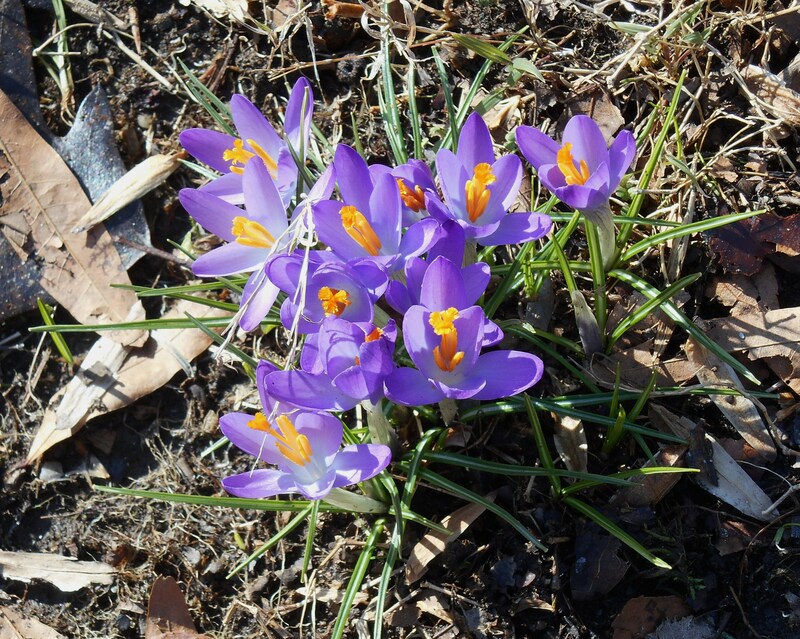 Beautiful, beautiful crocus blooms. This me want some of these again. My daffpdils are beginning to bloom, a sure sign of Spring. I need to prune the roses because they are starting to grow, too. The bright red camillia blooms are unfolding! I will try to get shots of those. Can new camillias be started from cuttings at this time? I would love another one in my garden. Also, I stopped by Lowes and they had primroses on sale for $1 each. Have not grown them before, but could not resist. Now I must plant them somewhere, I know somewhat in the shade, but not sure what else they need. Welcome to Spring soon! I have to go great the sun,too. And there’s no sign of spring here yet! we still have close to a foot of snow,and the temps,are down into the single digits,will be a while! I will be dropping by occasinaly realy enjoy your posts!